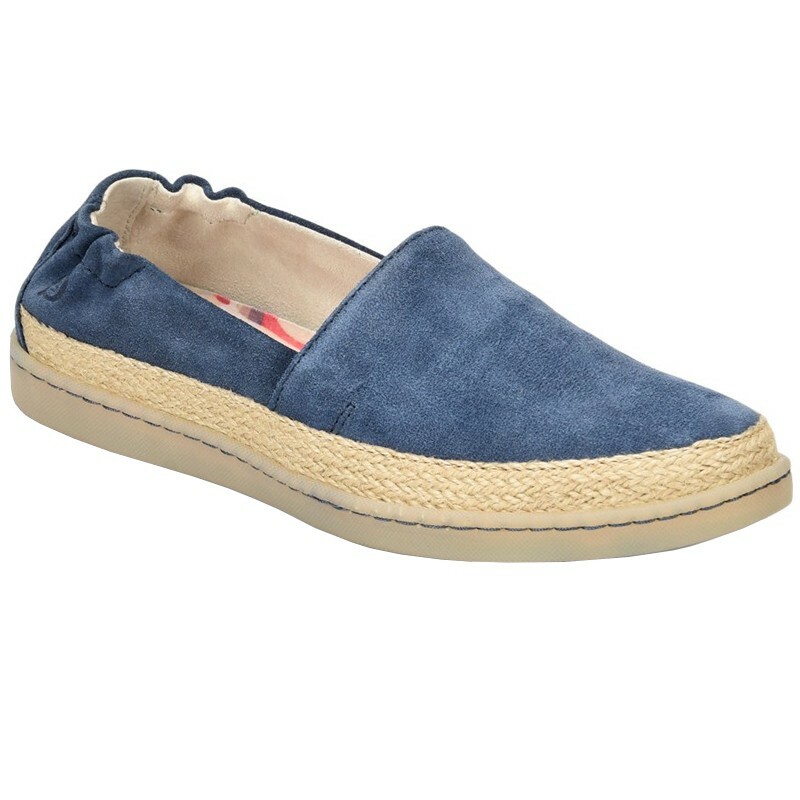 Get beachy cool style from a brand you know and love in the Born Castries espadrilles. This loafer style features a breathable distressed suede or canvas upper, combined with a jute espadrille sole for the quintessential summer look. Fabric lines the inside of this slip-on, to naturally wick away moisture for comfort. The removable footbed is padded to provide cushion and support where you need it most for all day easy striding. You can count on the Opanka handsewn construction to provide durability without sacrificing flexibility, and you can count on the rubber outsole to provide traction with each step. Get a classic summer look with a fun, modern twist in the Born Castries espadrille flat!